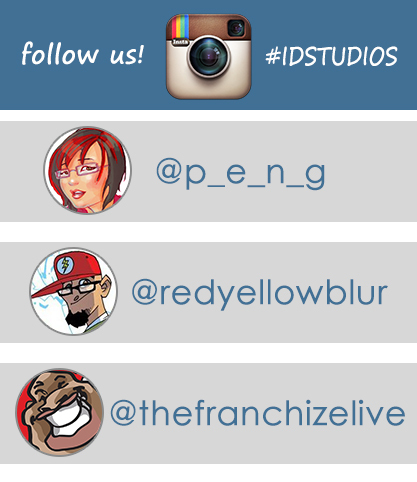 in addition to this blog and our Facebook page – www.facebook.com/IdentityComicsStudio – each of the ID STUDIOS members are on Twitter and Instagram too. so give us a follow and keep up to date on sketches, cons, projects, and other shenanigans! we answer questions on social media so if u want to know how theFranchize got started in the business, how Flash came up with his personal flare in his art, or how Peng-Peng draws pretty ladies, hit us up! 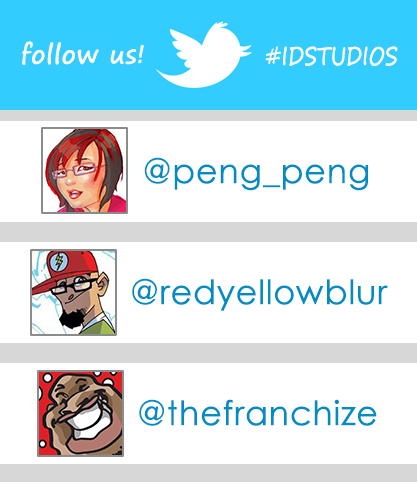 FOLLOW and tell ur friends – #IDSTUDIOS!